The Gustavus football team's sixth day travel blog from its trip to Cancun, Mexico on May 25-30. 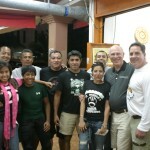 The Gustavus football team's fifth day travel blog from its trip to Cancun, Mexico on May 25-30. 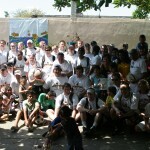 The Gustavus football team's fouth day travel blog from its trip to Cancun, Mexico on May 25-30. 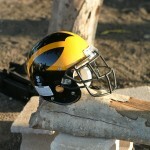 The Gustavus football team's third day travel blog from its trip to Cancun, Mexico on May 25-30. 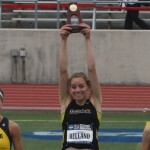 Janey Helland Wins National Title In Heptathlon!! For the second year in a row, the Gustavus track and field program has crowned a national champion in dramatic fashion. This year, it is senior Janey Helland, who came from behind in the final event to win the NCAA Division III national title in the heptathlon, following last year's dramatic finish by Max Hanson to win the 800 meter national title. The Gustavus football team's second day travel blog from its trip to Cancun, Mexico on May 25-30. 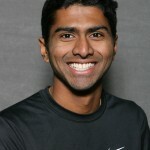 Gustavus sophomore tennis player Amrik Donkena has been selected to play in the 2011 NCAA Tennis Championships singles draw, which begins on Friday in Claremont, California. 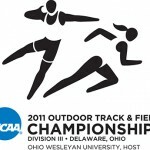 Janey Helland finished fifth in the long jump and sits in third place in the heptathlon after the first day of the NCAA Track and Field Championships, which are being held at Ohio Wesleyan University in Delaware, Ohio. Gustavus Adolphus College senior women's track and field competitors Janey Helland, Sam Broderius and Allyson Voss have been selected to participate in the NCAA Outdoor Track and Field Championships. Helland will compete in the long jump and heptathlon, while Broderius will compete in the discus and Voss in the pole vault. 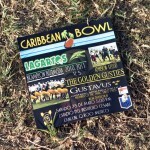 The Gustavus football team's first day travel blog from its trip to Cancun, Mexico on May 25-30.